Women in Waves Day with Layne Beachley, Sat. Dec. 1st, Clifton Beach. What a memorable day at Clifton Beach yesterday. 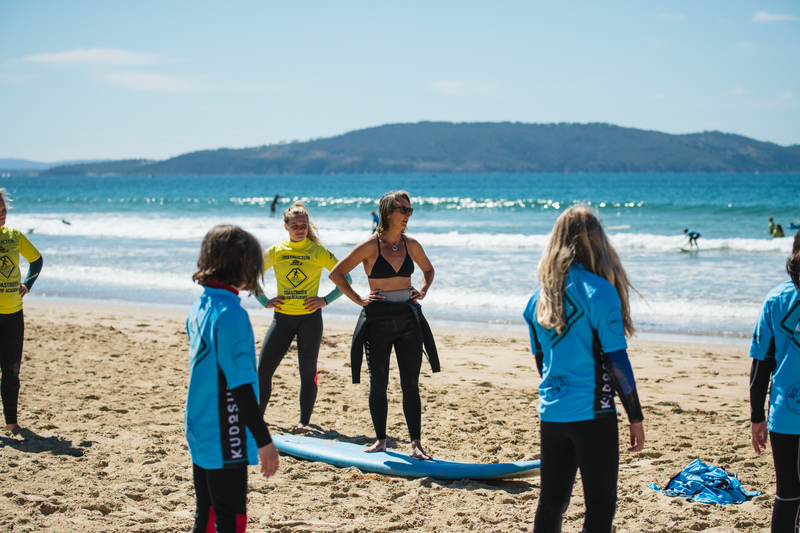 Surfing Australia's Board Chair, 8 times World Surf Champion Layne Beachley and husband Kirk enjoyed a perfect start to summer with nearly a hundred excited participants in warm sunshine and small but ideal surf. Beach yoga, surf lessons, sports forum and Layne's Presentation made for a memorable and inspiring day. Thanks to Luke and Leanne Johannesen, Surfing Tasmania workers,Clifton Beach SLSC, SABR, our volunteer work crew, and activities crew.